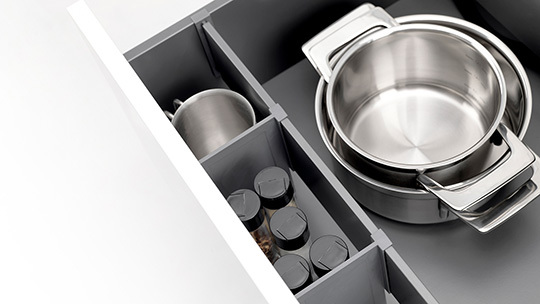 Organised: With Tavinea Optima small and large stored items remain securely in place. 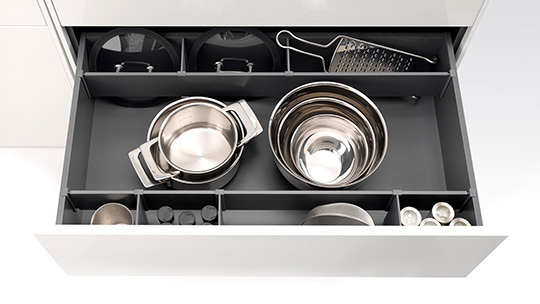 The flexibly usable elements divide the space in drawers to the personal preferences of the user. 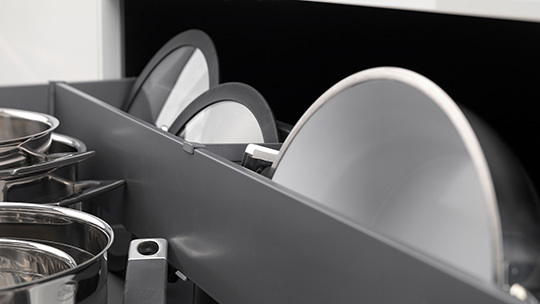 Variable: The dividers in the drawer with the continuously adjustable aluminium profiles can be adjusted at any time – tool-free and also after the initial fit. Useful: Practical Smartboards make it possible to divide the stored items even more. Simply clip on the divider profiles. Choice: Tavinea Optima is available in set packages or in the form of profiles for cutting to length; there is a choice of colours matching the Nova Pro Scala and the Vionaro drawer sides.